For lingerie, dress, petticoat, chemise etc…. 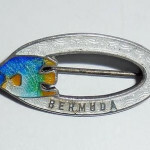 this is a small antique Edwardian enameled sterling silver Bermuda fish pin with its original antique C-clasp intact on the back. Marked sterling and hallmarked with its original makers mark. Size measures 1″ long East to West by 1/2″ tall North to South in the center. 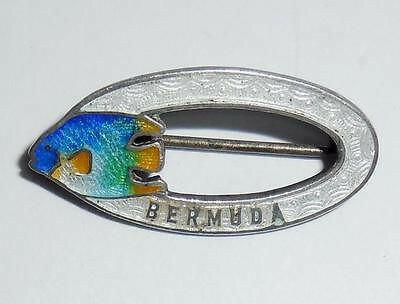 A lovely pin for your antique jewelry or clothing accessory collection. 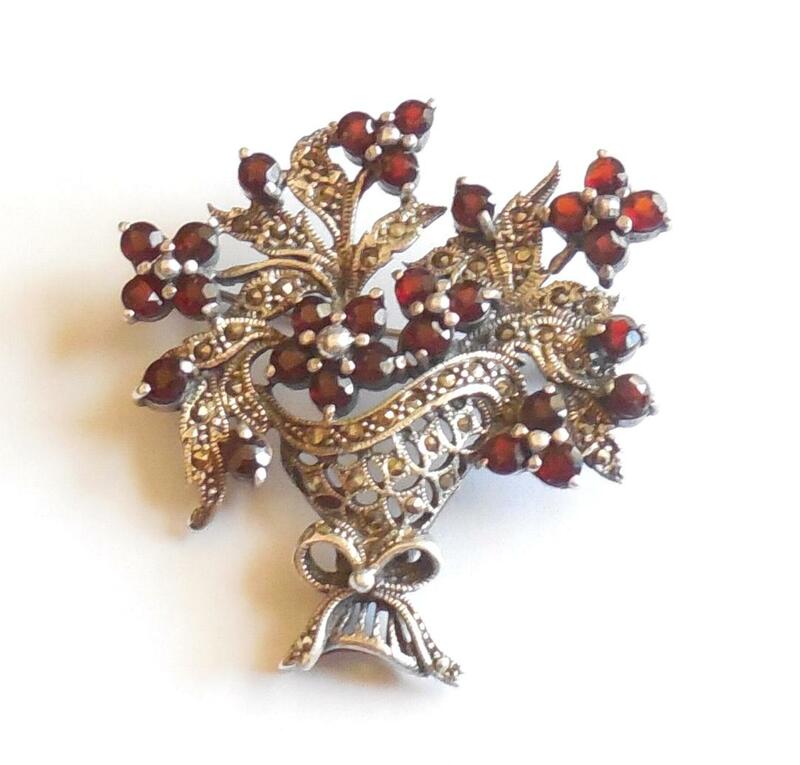 Vintage Late Mid Century Sterling Silver Marcasites and Garnets Flower Basket Pin Age: 1970s-80s Metal: Solid 925 Sterling Silver Stones: Garnets, Deep Red, Sparkly, Clean, 3mm-3.5mm each Size: 2" tall by 1 7/8" wide Weight: Heavy at 15.7 grams Condition: One of the tiniest marcasites on the bow is missing. So tiny it is not eye visible at all unless looking for it up close. 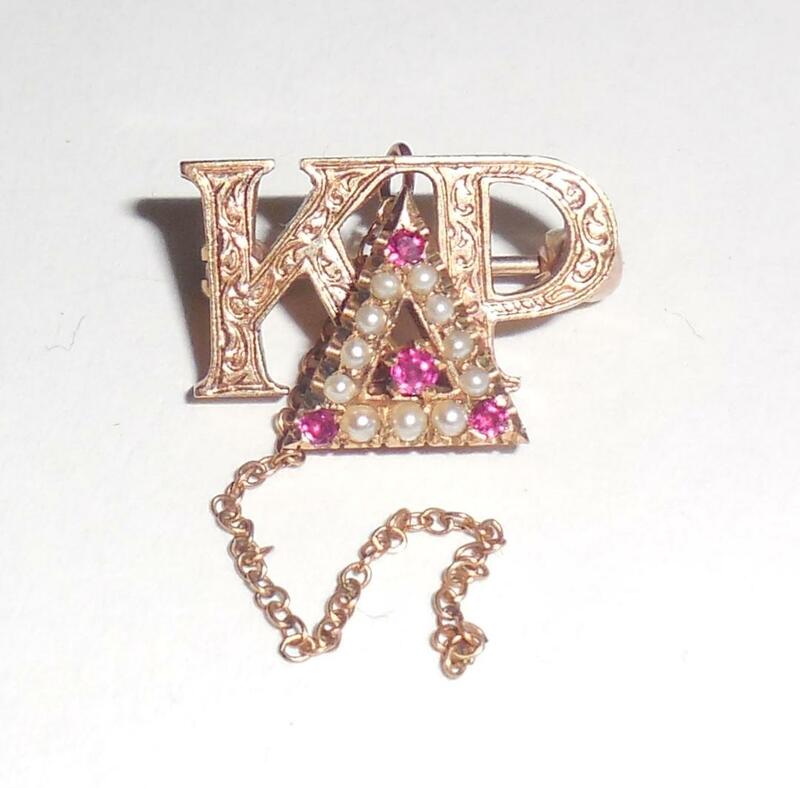 A well made, substantially heavy and showy pin for your lapel. It is strong and able to be worn often. Please see photos and read complete product description below. This is a stunning antique Victorian carved purple red rhodolite garnet stickpin having has the best quality raspberry color. Both the setting and stick are solid 10K yellow gold. As expected, the clutch is not gold as they rarely are. 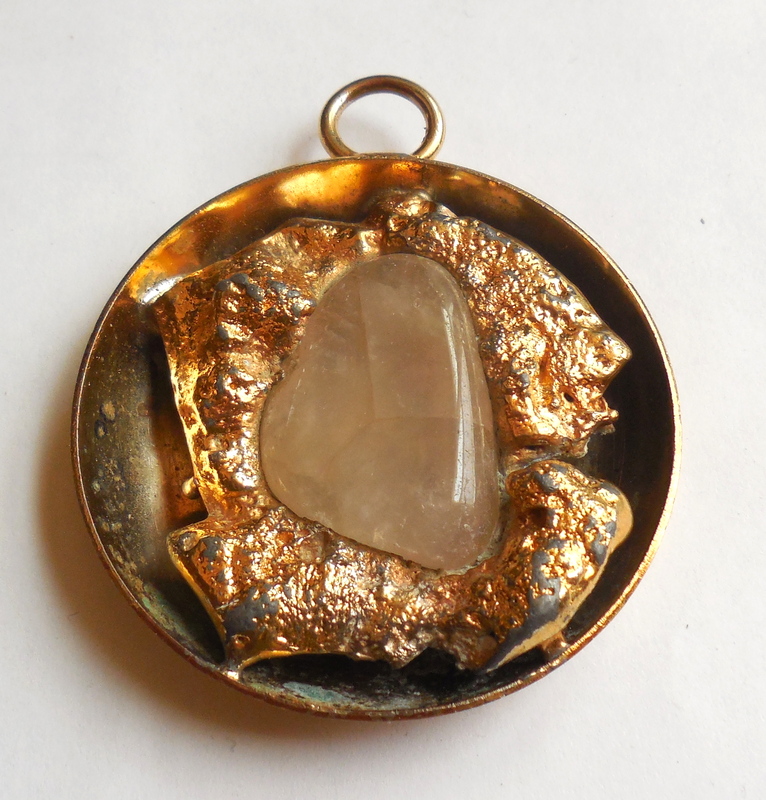 All parts have been thoroughly jeweler tested and are guaranteed solid 10K gold. Tests strongly at 10K and is likely a bit higher grade as is common with antique goldsmith made jewelry. Its original tiny natural sea pearls are hand jeweled onto the top of the rhodolite garnet. Other than a very tiny edge nick that is so small that a jeweler or lapidary could polish out but is not necessary as it is not eye catchy. Other than this, it is in excellent condition. No damage or wear to the gold. No cracks to the stone. Never repaired or altered in any way. All original stones and pin. Size is 2 1/2" long. The rhodolite garnet is 8mm across. 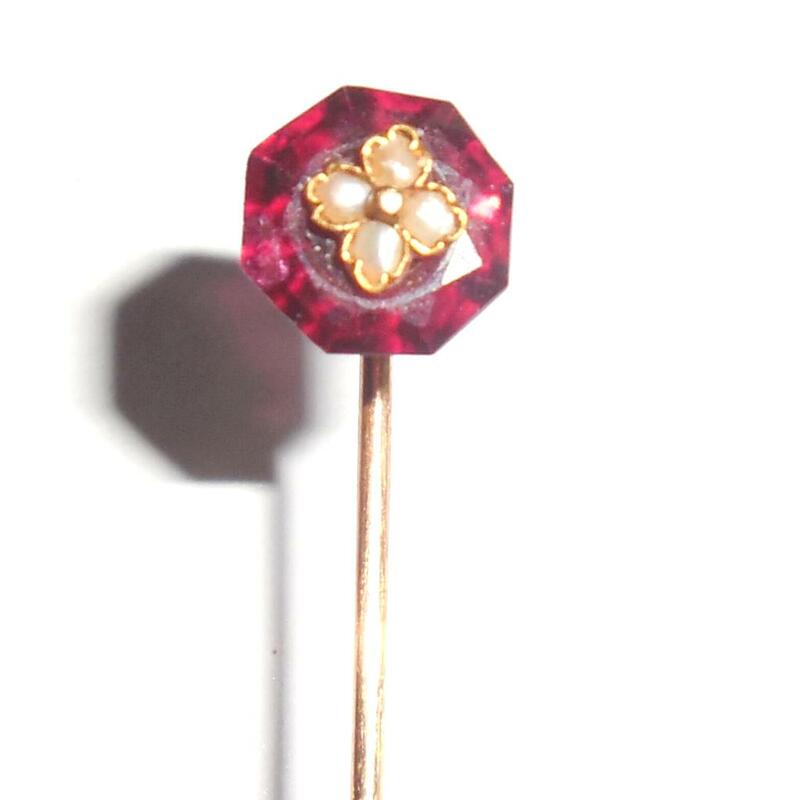 This is a gorgeous, rare, octoganal cut, fine quality, original rhodolite Victorian stickpin for your collection.